AGUAPURO offers an effectual range of Effluent Treatment Plants for recycling of wastewater to reduce water demand. The comprehensive treatment solution works at various levels and involves various physical, chemical, biological and membrane processes. AGUAPURO also provides effluent treatment solutions for various types of industrial waste water. Customized systems to suit the wide variety of effluents and to maintain efficiency are provided to industries. These systems include physic-chemical treatment, biological treatment, tertiary treatment and membrane separation process to achieve the zero-discharge standards laid by statutory authority. We provide innovative and economical systems for waste from industries like chemicals, drugs, pharmaceutical, refineries, dairy, ready mix plants & textile etc. Screening/ Grit chamber: To remove floatable matter and sand, grit, stones in raw effluent. Oil & grease trap: To remove floatable oil and grease from raw effluent. Primary treatment: Includes chemical treatment (coagulation, flocculation, neutralization) and solid-liquid separation for removal of suspended solids. Tertiary treatment: Sand and carbon filtration for removal of suspended solids and organic material. Ultra-filtration and Reverse Osmosis are the advanced technologies to be implemented for zero-discharge system. We as one of the leaders in water treatment , we bring forth an excellent assembly of biological Treatment Plants. Used for removing all the impurities like solid waste and sludge,these plants are widely praisedin the market for itsrigid construction and optimum performance. The provided plants can be availed in differentspecifications and customized options as per the needs of our clients. Apart from this, we offer these plants to our clients at market leading prices. Aguapuro is a renowned firm developing widely demanded Boiler Water Treatment Plant. our expertise and quality assurance always fulfil the demands of these plants . features of next generation technology that effectively works on treating the hardness of water. Aguapuro is a renowned firm which is involved in offering Containerized Effluent Treatment Plant. The offered product are manufactured in agreement with standards and norms of the industry using high quality material. Provisional upon the type of effluent, many processes have been established for the cost effective behaviour of effluent. Protected with alum dosing system, chlorine dosing system, multi grade filters, activated carbon filter, etc. These product are part of the heavy industries and give efficient performance. Besides, we offer these product in a range of configurations at industry leading rates. With an expertise in water filtration , we do use surface, ground, municipal, sea or others, require treatment before the water can be further treated in most pure water treatment systems. ground water Treatment system can include various types of pretreatment equipment to remove color, suspended solids, dissolved solids and other contaminants harmful to the pure water treatment system and the industrial process of our clients. With through knowledge of varied aspects of the market, we have been able to bring forth the clients an extensive range of Waste Water Recycling Plant. These plants are manufactured under the supervision of our experts with premium quality raw material and advanced technology which is procured from trusted vendors of the market. We offer high-quality Industrial Effluent Water Treatment Plants. We offer customers effluent treatment plants that are the sophisticated & innovative solution to purify the industrial effluent water. 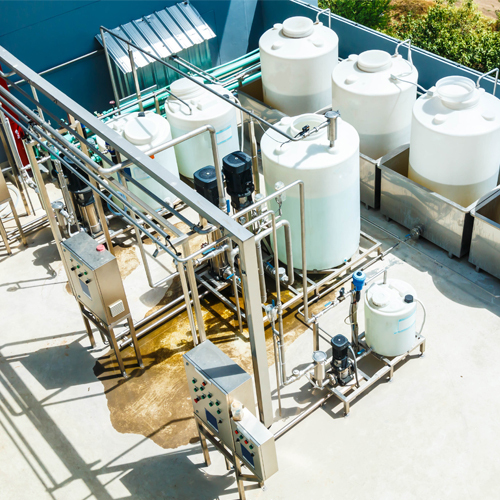 Our range of effluent treatment systems are used in most of the effluent parameters of factories and are designed to effectively solve the environmental pollution problem created by wastewater of a company (without exposing it to the environment).